So, now that “Undrunk” has officially been released is it still this amazing song I repeatedly would tell my friends about? Or, did Fletcher drop the ball pretty damn hard? Let’s find out. “Undrunk” is one of those special pop songs, a pop song that manages to follow the genre’s familiar trends and clichés that you’d expect listening to any other pop song in this day and age. But, with one pretty huge outstanding anomaly: REAL and MEANINGFUL lyrics, a clear emotional connection between artist and song, and a truly personal touch that keeps “Undrunk” feeling as real as can be. This is the same anomaly that kept me bragging about Fletcher and this song in particular all of the second half of 2018, waiting uncontrollably for it to be released. “Undrunk” is filled to the absolute brim with fierce and strong vocal quality that you’ll be singing along before the songs signature “wish I could get a little undrunk” comes into play. Having first been exposed to the song in a live setting, I have to be a little biased towards that version a tiny bit, as hearing Fletcher’s raw quality come into play with the breathtaking drumbeats in person absolutely smashes the official release. But, that’s not a bad thing, it just means you should catch this amazing woman live and experience her intimate and “fan first” attitude for yourselves. There’s nothing I dislike about this track, from it’s first note to it’s last, it’s an overall amazingly produced piece of art that I’ll most likely keep close by if I ever want an example of a truly groundbreaking pop artist that understands how bad love can burn you. 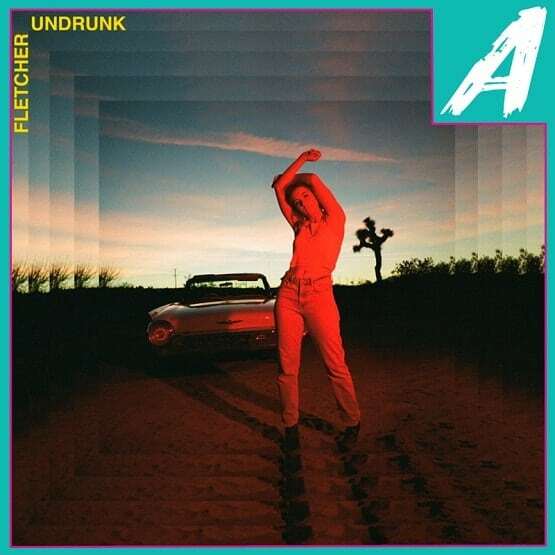 As much as I truly enjoy her other powerhouse tracks “Warpaint” and “You Should Talk,” it’s always “Undrunk” that stands above the rest and truly makes Fletcher herself unforgettable. Fletcher is the real deal in a sea of false lies, in a genre that truly doesn’t let many have creative freedom to make the music they truly want. If you’d like to check out “Undrunk” for yourself, you can stream it on pretty much every single major streaming platform you can think of. I’m looking forward to hearing “Undrunk” in yet another live setting, hopefully soon.